b. China, 1942. B.Sc. Technion, 1964. M.Sc., Technion, 1968. D.Sc., Technion, 1971. University of Cambridge, England, 1971-73. NMFS and University of California, San Diego, 1978-79. University of Michigan, 1982. NASA and Stanford University, 1984-85. UCLA 1985. Southwest Research Inst. 1989-90.Univ. of New South Wales 2005-2006. At Technion since 1973. Professor since 1982. Distinguished Professor since 2002. Emeritus since 2011. Holder -Louis and Lyra Richmond Chair of Life Sciences. Dean of Aerospace Engineering 1987-1988. Director, S. Neaman Institute for Advanced Studies in Science and Technology, 1990-1995. Dean of Graduate Studies 1996-1998. Provost 1998-2000. 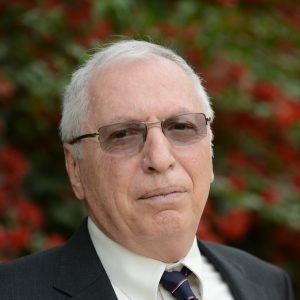 Chairman, Israel National Committee for Space Research 2006-2015 Head, Technion Autonomous Systems Program 2007-present. Chief Scientist, Ministry of Science and Technology, Jerusalem 2010-2011 Chairman, Interuniversity Institute for Marine Sciences, Eilat 2013-2018. Member, Israel Academy of Sciences and Humanities. Foreign Member, US National Academy of Engineering. Aerodynamics, biofluid mechanics, hydrodynamics, autonomous robotics, space research.